We previously covered the top cherry blossom events to enjoy in Japan’s Kanto region for this year’s hanami. If you’re travelling to the Kansai region however―which includes Kyoto, Osaka, Nara, Kobe and many others―then we’ve got you covered for that too. Here are our Top 3 picks for cherry blossom events you should visit this flower-viewing spring season in Kansai. Kyoto Botanical Garden’s Sakura Light-Up 2019 will run from March 25 to April 7 followed by the Sakura Sanpo cherry blossom strolling event from April 19 to 21. The garden boasts a long cherry blossom season. In many famous cherry blossom spots in Japan the Yoshino cherry trees bloom for one week at the beginning of April, but at Kyoto Botanical Garden they sprout early in mid-March and stay until the end of April, meaning you can enjoy the beautiful pink hues for even longer. 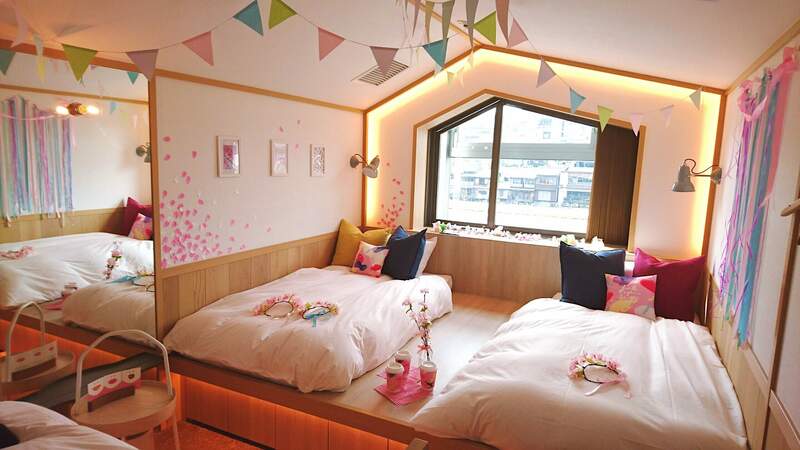 CAFETEL Kyoto Sanjo for Ladies is a female-oriented café and hostel that is now taking bookings for its SAKURA ROOM. This beautiful room radiates a spring vibe with its light coloured ribbon curtains, a cherry blossom fragrance that permeates the room, pretty cherry blossom flower crowns and more. There are plenty of places to snap some Instagrammable pictures. From outside the window guests can the scenery of the city of Kamogawa so they can enjoy hanami from their room! From the end of March to the beginning of April, sakura will bloom at Hirakata amusement park. 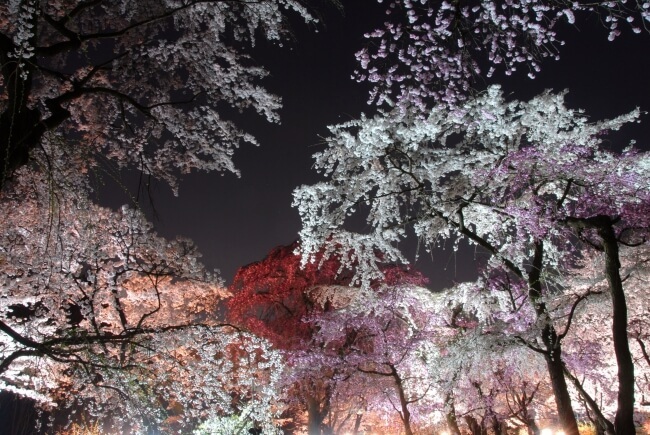 There are approximately 300 sakura trees and eight varieties of tree including Yoshino cherry blossoms. Amongst the park attractions is the “Skywalker”; a giant ferris wheel that overlooks the park. The path to the ride is hilly and lined with sakura trees, so during full bloom, the path is completely covered in a bed of pink petals. 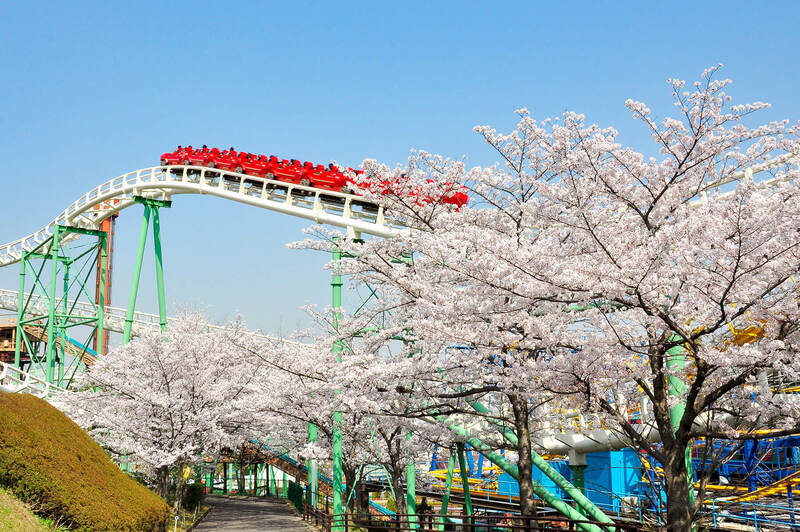 Enjoy the cherry blossoms while riding the attractions! Did you enjoy this list? Be sure to see as many cherry blossom spots as you can when in Japan.